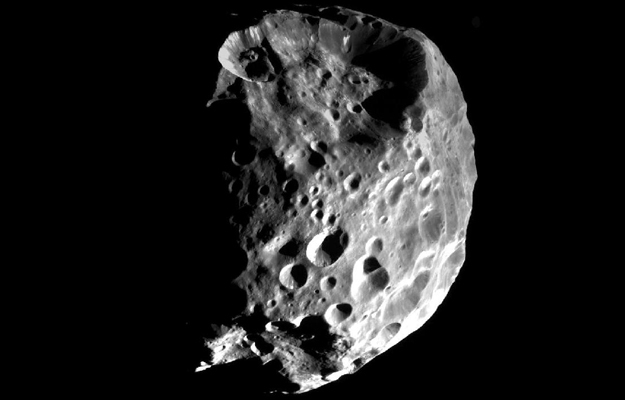 Data from NASA's Cassini mission reveal Saturn's moon Phoebe has more planet-like qualities than previously thought. How Long Has Titan's Chemical Factory Been Operating? 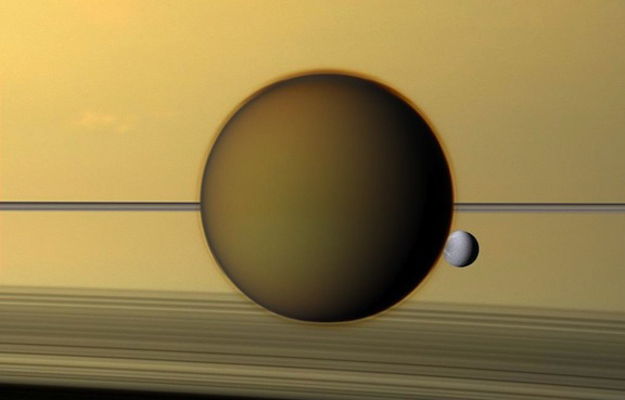 Saturn's giant moon Titan hides within a thick, smoggy atmosphere that's well-known to scientists as one of the most complex chemical environments in the solar system. 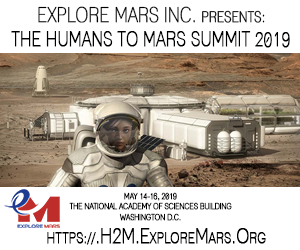 It's a productive "factory" cranking out hydrocarbons that rain down on Titan's icy surface, cloaking it in soot and, with a brutally cold surface temperature of around minus 270 degrees Fahrenheit, forming lakes of liquid methane and ethane. This image was taken on April 08, 2012 and received on Earth April 09, 2012. 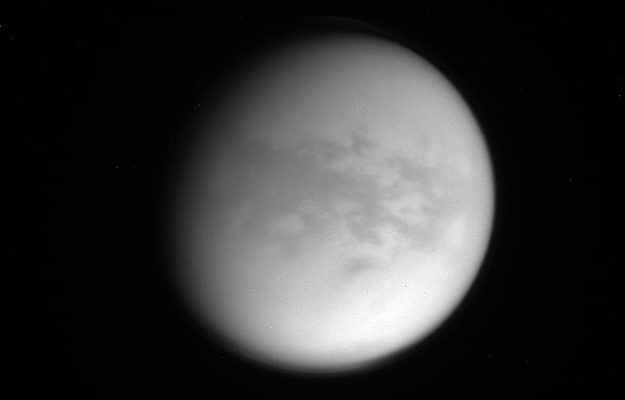 The camera was pointing toward Titan at approximately 1,810,102 kilometers away, and the image was taken using the CL1 and CB3 filters. This image has not been validated or calibrated.